I'm a bit late with my favourites once again this month, so I hope you guys aren't too bored of these posts just yet! I seem to have been craaaazy busy lately, so I've been reaching for products that have done a great job, quickly but effectively. On a daily basis, even if I'm in a hurry, I like to do something with my eyes. Some people settle with just a slick of mascara, but I do like to add some sort of colour to my lid. Maybelline's Colour Tattoos fit the brief perfectly. 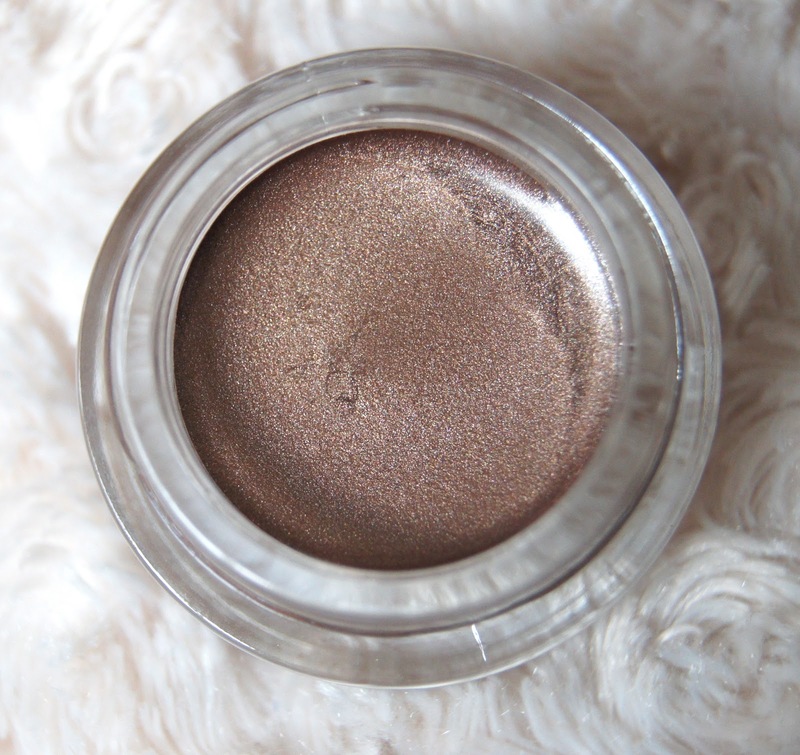 On & On Bronze is a metallic bronze (duh! 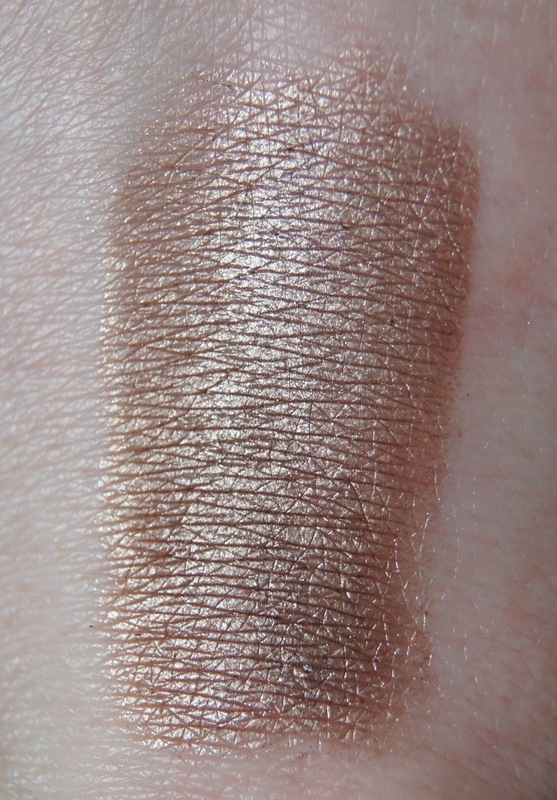 ), but it isn't too warm toned, making it more flattering for those with very fair or alabaster skin tones. This shade would suit everyone, hurrah! The gel formula can feel slightly wet on the eye at first, but it soon dries and feels comfortable. Although, that is something to watch when using it; make sure you blend it quickly, because once it has settled, it will not move until you remove it properly. They are quick to apply and add a gorgeous amount of colour, without being too much for daytime wear. The best part? They do not move all day; I get no creasing whatsoever and the beautiful colour doesn't fade. I have worn this from about 7am in the morning, right through until after midnight, before and it has stayed looking great, without any need for reapplication or touch ups. 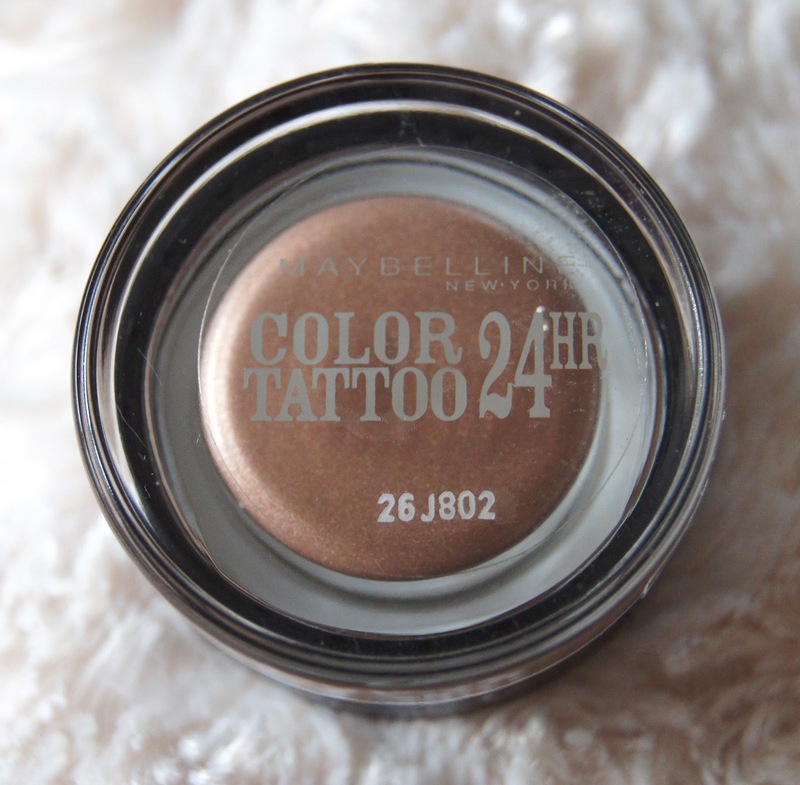 Personally, I'd never leave this product on for 24 hours, but I wouldn't argue with the claim that Maybelline make about it having 24 hour, long lasting wear, which is very impressive. I wouldn't say my eyelids were particularly oily or dry, just normal, so the wear may be slightly different, depending on your skin type. The pot containing this product is small, but you can get to the gel-cream easily. It is quite a heavy, glass pot, so it does add some weight to a makeup bag. Fortunately though, once you put this on, you can leave it behind, as it lasts so well on the eye, so there's no need to carry it around in your handbag. Priced at just under £5, it really is a great product and the quality is just as good as, if not better, than some high end cream eyeshadows. There are seven shades to choose from, including more natural shades and a couple of brighter, more intense colours. You should definitely check these out, if you haven't already! With my hair, I like to keep it as nourished as possible at all times, without overloading it. My tresses aren't in bad condition, but I want it to stay that way. 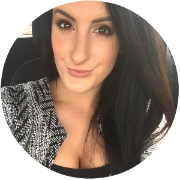 To achieve that, I recently looked into numerous haircare brands, stripped back my current routine and came up with a list of products that I wanted to try, which included some goodies from Pureology. 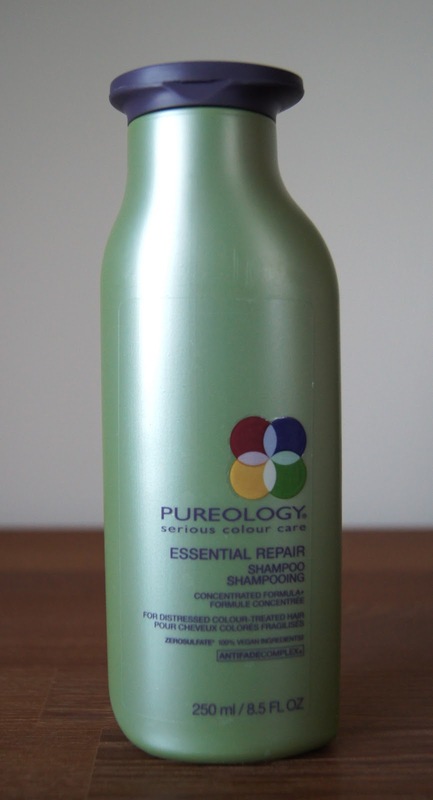 This wasn't a brand that I had heard of before, until I spotted it on Feel Unique, but after having a gander at their products, I picked up the Pureology Essential Repair Shampoo and conditioner. The brand is primarily aimed at those with colour-treated hair, which I have and all of their products are 100% vegan. I have tried both products out, together and separately and I definitely prefer using them separately, unless my hair is in desperate need of some moisture. Using them in conjunction with each other can be a bit much, leaving my hair weighed down. The conditioner is OK, but it's the shampoo that I love. Usually, my hair doesn't feel too different after shampooing and it's conditioner that seems to do all of the work. But with this, I notice a change in how my hair feels immediately! It doesn't contain any sulphates, which can strip hair of its natural oils, so doesn't dry it out, but you still get a luxurious, rich lather. Having such a concentrated formula, a little goes a long way, so even though the bottle may seem small, it lasts much longer than you would think. Honestly, the fragrance isn't my favourite and smells distinctly of plants, but the results are so great, that I can deal with that. Any styling products that I use after washing my hair, mask that anyway. I really wish that you could get the Pureology shampoos and conditioners in larger bottle sizes, as it is annoying having to repurchase more often than I would like and buying in bulk, means a lot of extra bottles to store away somewhere. I'm not sure where you can purchase Pureology products, other than online, but Feel Unique always have free delivery. There are a total of 8 systems in the Pureology line, catering for most hair types and needs and products range from around £12-£25. Considering the quality, I think these are reasonably priced and fall midway between cheap and expensive. I admit it; I'm a foundation snob. When it comes to base products, I genuinely think that spending a little bit more money (or a lot in some cases) is well worth it to get a gorgeous, flawless, makeup finish. Over the years, I have sampled a variety of drugstore foundations and they have always failed to impress me. That was, until I tried Rimmel's Wake Me Up Foundation, which has been praised by almost every beauty blogger out there. Sceptical at first, my doubts were soon smoothed over when I tested it out and it has been the foundation that I have probably worn most throughout January. Rimmel have really upped their game in the makeup stakes, recently and there is now a significantly larger amount of their products in my makeup collection, as of late. I'd say that this foundation gives a light to medium coverage and is only slightly build-able. If you want more coverage, you'll need to use a more heavy duty concealer. It has quite a thick consistency and more of a gel texture to it, I think. There is a very obvious silver shimmer running through the foundation (just look at the product in the bottle) and whilst this translates onto the skin, it doesn't look at all fake. 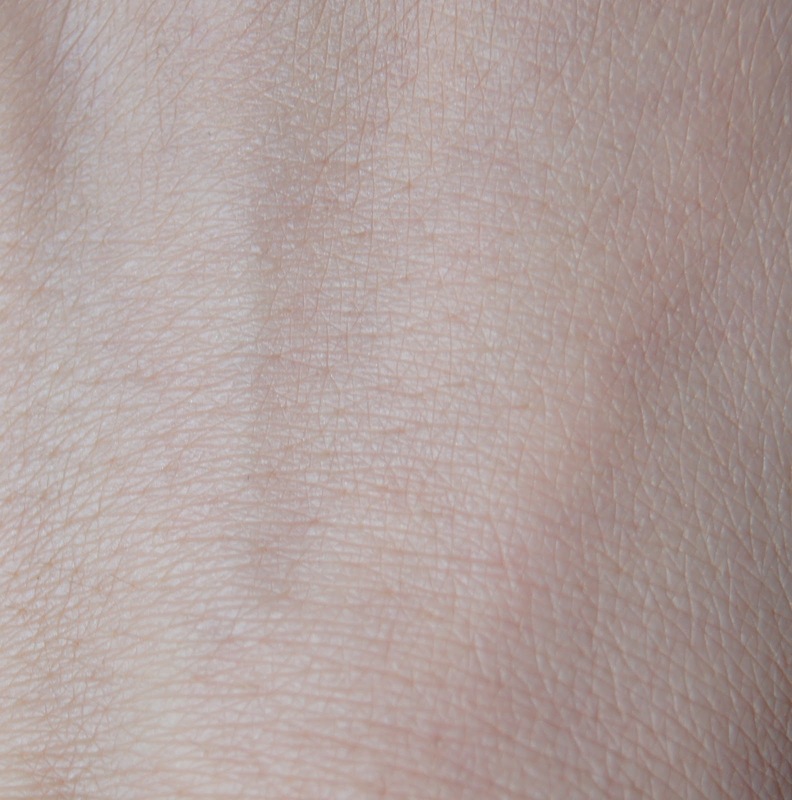 Skin is left looking more bright and radiant, with more of a glow than a stark shimmer. With an anti-fatigue effect, it definitely adds light to the face, but don't be fooled, it won't work miracles. This is a perfect foundation for those with normal to dry skin, as it has quite a moisturising finish, but isn't at all dewy. If you have more of an oily skin, this may only exaggerate shine and it may not last on the skin for as long. For me, having normal/combination skin that is quite dehydrated, it lasts well throughout the day, but I do need to touch up around my nose occasionally and powder down the centre of my face, to set it in place. I have noticed that the shades look significantly darker at first, until you blend them out, so definitely swatch them before you buy, if possible. 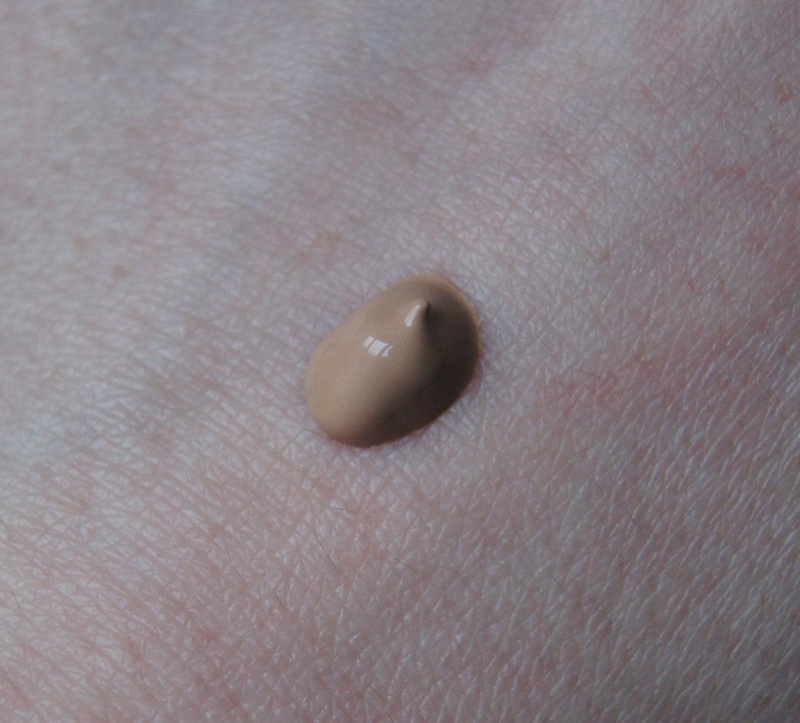 Unfortunately, as with most drugstore brands, there is a limited colour range in this foundation, with only 6 shades on offer. These are all suited for light/medium skin tones also, so if you have a darker skin tone, then you may struggle to find a match for you, which is so disappointing. Aside from that, this really is a great foundation and seeing as it's under £10, it's great if you are on a budget. The packaging doesn't look as cheap and nasty, compared to other drugstore foundations, but I wish the lid wasn't as large. Heat protection sprays are something that I tend to neglect, as I forget about them in the whirlwind of excitement about more luxurious products. I mean, they're a bit of a boring item that I group with things like deodorant and toothpaste. However, is is important to protect my tresses on a daily basis, as almost every day I use some sort of heat on my hair, during styling. 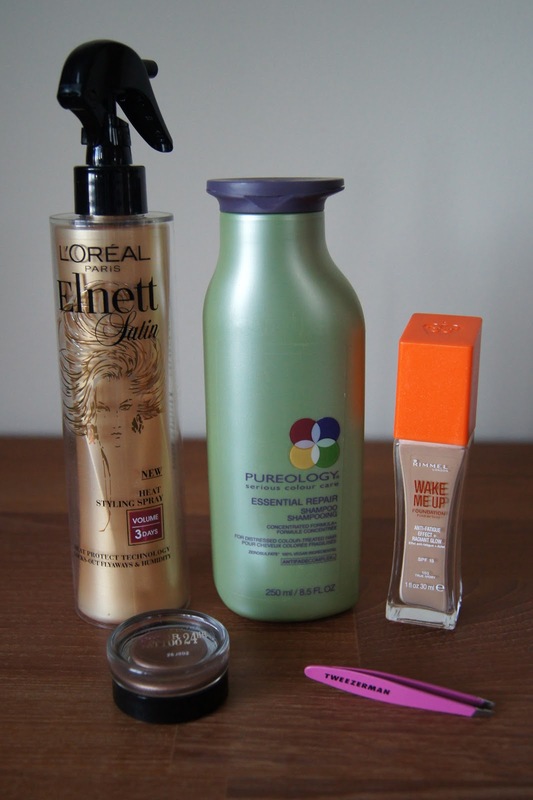 During December, when I was in Boots and buying waaayyy more than I intended to, I noticed this Loreal Heat Styling Spray, which was part of the Elnett range. As it was on offer, I picked up a couple of them, one for waves and one for volume. Mostly, I've been using the volume version, hence why it's included here, but I do like the other, too. Do I think that they would hold a style in place for 3 days? No, but I wash my hair more often than that, so I couldn't really comment without seeing for myself. What I do love though, is how they make my hair so much more sleek after styling, but you don't feel it in your hair at all. I don't suffer from as much frizz or fly-aways and my hair just looks more finished. Fragrance wise, it smells nice and has a salon kind of scent to it. There isn't much else to say really. It doesn't do anything more than it's meant to and it isn't the best product I've ever used, but it does the job. The spray function gives a fine mist, that covers hair in just a few spritzes, so this will last me a long while. Make sure that you don't hold it too close to your hair when you use it, or it will only reach a small area. £6 is probably the maximum I would pay for this product, but it is usually included in some sort of offer in Boots, making it even cheaper. This may seem like a strange inclusion in my January favourites, but there is good reason. 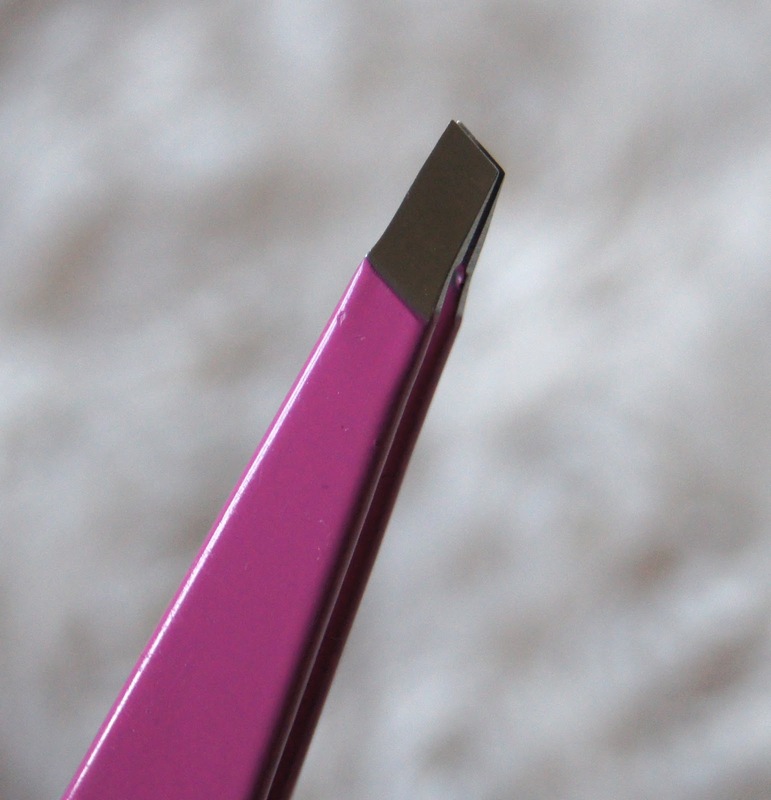 A couple of months back, I lost my Tweezerman Tweezers when I was in London. Looking for a quick fix, I headed to Boots and bought a pair that weren't quite as renowned and used them ever since. Just a few weeks ago, I found these tweezers again, not in London, but underneath a chest of drawers at home. Yes, of course I was happy, but I'd grown accustomed to using my new tweezers and thought that they had been working well. Then, I used these bad boys once again and I have never enjoyed plucking my eyebrows quite as much! They grab hairs so easily, even those sneaky, vellus culprits. Their grip is so strong that you have virtually no pain, no bleeding and barely any irritation. The slanting tips make even the shortest hairs easily accessible. Now, that other tool, which calls itself a pair of tweezers, is a distant memory and I will never turn my back on the Tweezerman brand again! I have the mini version, which is the perfect size for travelling and does the job just as well as the full sized tweezers do. £12.50 seems a bit pricey, but they are a tool that you will barely ever have to replace, unless you have a tendency to misplace things, like myself. They are the best tweezers I have ever used and are well worth investing in, guys!